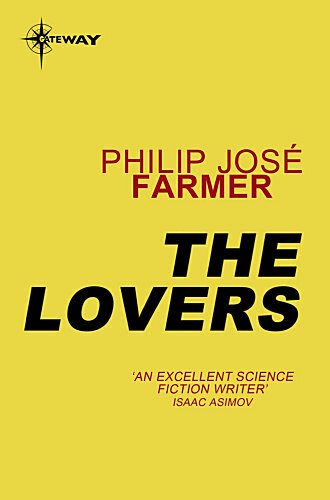 Expansion of the novella "The Lovers" (1952). Escaping the religious tyranny of a 31st-century Earth by a fluke assignment to the planet Ozagen, linguist Hal Yarrow found that the worst of Earth had followed him - Pornsen, his personal Guardian Angel, vigilant for any evidence of sin or wrong thinking. Conditioned by a lifetime of submission, Yarrow would have accepted Pornsen's constant spying as an unpleasant necessity and lost himself in the study of the language of Ozagen's intelligent dominant race, the Wogglebugs... but then, hidden in ancient ruins built by humanoids long vanished from the planet, he found Jeanette, a not-quite-human fugitive. For a Believer like Yarrow, unconsecrated contact with any female was forbidden - and love for an alien was unthinkable. But to Yarrow, in every way that counted, Jeanette was warmly and bountifully human. So Yarrow sought the aid of the amiably tolerant Wogglebugs to keep his harboring of Jeanette a secret - and at the same time concealed from his alien allies Earth's farreaching plans for them and their unexploited planet. Yet there was one secret Yarrow did not know and could not imagine... the very special nature and needs of the woman he loved! First US hardcover, with blue paper boards and beige cloth spine. Silver lettering on the front board and the spine. 'First Edition' stated on the copyright page. Revised edition. Revised edition. Book printed in Canada. Omnnibus, together with Flesh and Strange Relations. See also the editions from Orbis in Spain. Book Club Edition. Omnibus, with Inside Outside. With an afterword to The Lovers by Michel Desimon. Illustrated by Michel Desimon. Limited to four thousand numbered copies, plus one hundred and fifty copies marked with "H.C.". Book Club Edition. Omnibus, with Inside Outside. With an afterword to The Lovers by Michel Desimon. Illustrated by Michel Desimon. "Limited to six thousand five hundred numbered copies" (2,500 for the second printing! ), plus one hundred and fifty copies marked with "H.C.". The back cover gives wrongly ISBN 3-426-05703-7. Omnibus, together with novels by Robert Silverberg (A Time of Changes) and Vonda N. McIntyre (Dreamsnake). Omnibus, with A Woman a Day and Strange Relations. With a short anonymous foreword "δυο λόγία γία το συγγραφέα". States 'Second Edition' (Β' Εκδοση) on the cover and on the copyright page. Pictorial boards. Translation of the 1979 revised text. Omnibus, with the story "Rastignac the Devil" (called 'Prologo') and an introduction by Roberta Rambelli. The books are numbered. With an interview by Paul Walker, a biography and an Italian bibliography. With an introduction "Il gregge di Rastignac" by Riccardo Valla. 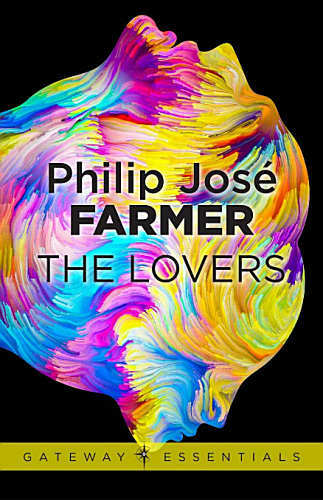 With a short note, "Philip J. Farmer", by Giuseppe Lippi, a reprint of the essay "Il gregge di Rastignac" by Riccardo Valla, and with a bibliography of all the Italian Farmer publications, compiled by Ernesto Vegetti. Paperback with a dustjacket. Later it got ISBN 4-15-010378-X. Hardcover with light-brown leatherette boards and black lettering on the cover and spine. Illustrated by Andrea Belokrylov. With an introduction by Andrei Chertkov and a profile of Farmer by Sam Moskowitz. Pictorial boards. Omnibus, together with Dare, The Stone God Awakens, The Gate of Time and "Riders of the Purple Wage". Pictorial boards. Illustrated by M. Ermakov. Omnibus, together with Timestop and "Rastignac the Devil". Pictorial boards. Omnibus, together with Timestop!. Blue paper covered boards, with silver lettering on the spine and the front board. With an introduction by Dr. Sönmez Güven.